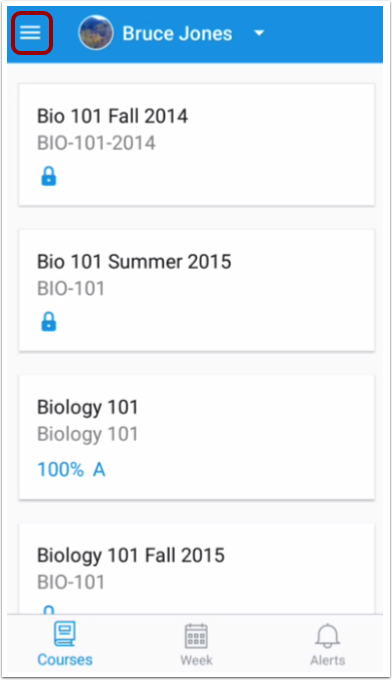 The User Menu allows you to manage alerts for students linked to your observer account. You can view your alertson the Alerts page. 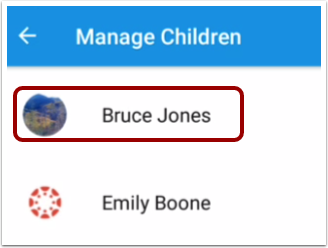 To manage students, tap the Manage Children link. Tap the name of a student. To enable a toggle alert, tap the toggle button . 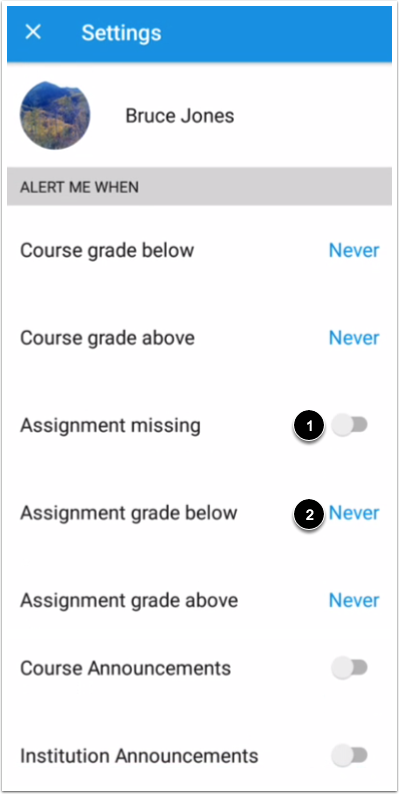 You can also be notified of alerts when an assignment is above or below a certain percentage. 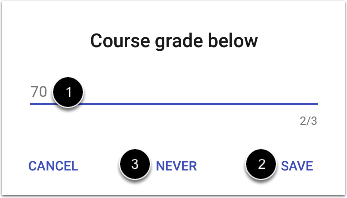 To enter the percentage, tap the link next to the assignment criteria . Enter a percentage  and tap the Save link . If necessary, you can disable the alert at a later time by re-opening the alert and tapping the Never link . Previous Topic:How do I view alerts in the Canvas Parent app on my Android device? 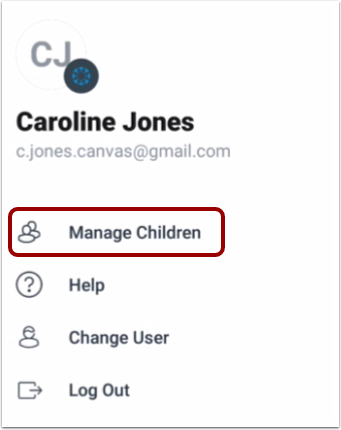 Next Topic:How do I get help with the Canvas Parent app on my Android device? Table of Contents > Observers > How do I set alerts for a student in the Canvas Parent app on my Android device?